Self storage units at sites across the UK. 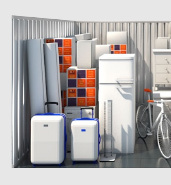 Storage for furniture and belongings while moving property, decluttering, completing home improvements, redecorating, travelling overseas, or any other life event. Lowest priced self storage - guaranteed! What is storage space, a storage room or a storage unit? Do you work for the armed forces, ambulance, police, fire service or NHS? Find the right size unit. We've got spaces from 12 sq.ft. to over 1000 sq.ft. Is Personal Storage Different To Business Storage? An interesting story from many years ago at one of our self storage centres... One of our directors was walking around with a business storage customer who had been happily using our self storage facilities for a few years. The customer suddenly asked "Do you know anywhere like this where I can have personal storage?". We thought that was quite intriguing because of course our customers at Lok'nStore can use their self storage units for personal storage or for business storage. The personal self storage customer rents a unit, puts his or her lock on the door and provided they don't store anything on the banned list they can come and go and they can store what they like. That's the joy of self storage - personal or business! The customer in the story realised and used us for his personal storage. 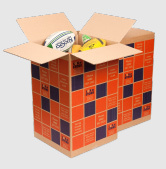 Are you moving house, in between homes or just in need of a little extra space to store your personal items or household belongings? Whatever you need to store (and for however long) you'll find the right size personal storage space at the right price at your local Lok'nStore. With Lok'nStore you'll get a clean, safe and secure storage room to which you will have the only key. Free unlimited access that means you can come and go as often as you please during store opening hours. If your plans change, it doesn't matter - there's no long-term commitment so you can change the size of your unit any time. And our friendly team are always on hand to help you. At Lok'nStore we pride ourselves on our quality customer service and offer you the lowest self storage prices locally, that's guaranteed! Lok'nStore currently operates self storage centres in the following locations: Aldershot, Ashford, Basingstoke, Bristol, Broadstairs, Cardiff, Chichester, Crawley, Crayford, Dover, Eastbourne, Fareham, Farnborough, Gillingham, Harlow, Hedge End, Hemel Hempstead, Horsham, Luton, Maidenhead, Milton Keynes, Northampton Central, Northampton Riverside, Poole, Portsmouth, Reading, Southampton, Sunbury, Swindon, Tonbridge, Wellingborough and Woking. For more details on any of these stores, or to contact them directly regarding our storage services, please click on any of the location names at the top of this web page.